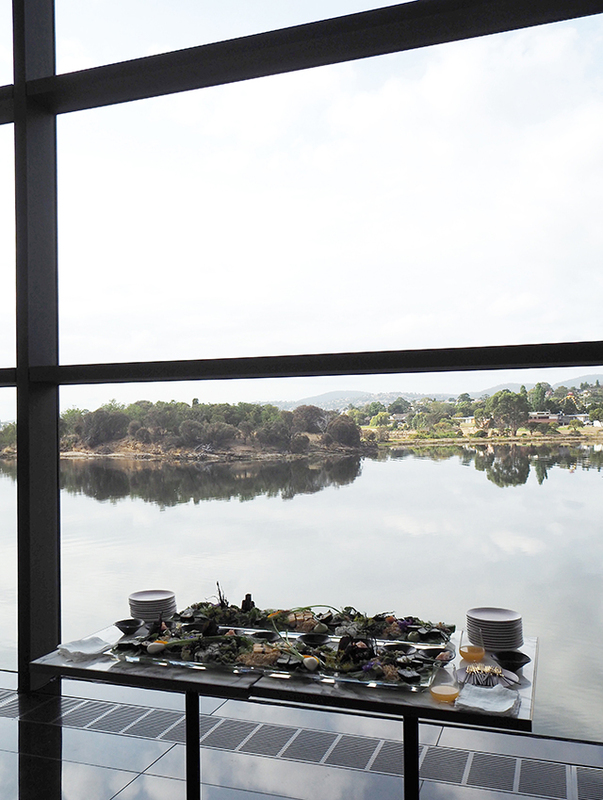 With a huge sense of excitement, I set off on my first ever trip to Tasmania last week with David Jones. 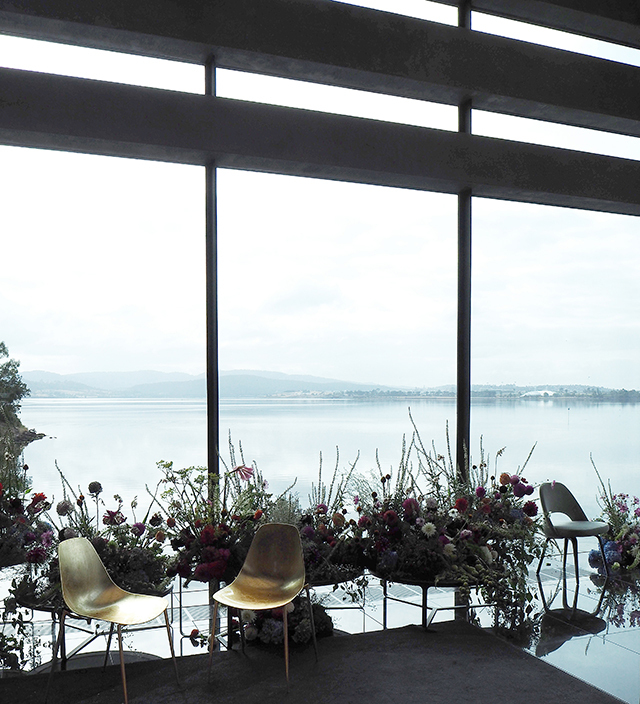 In celebration of The Art of Living we were treated to an incredible journey of discovery at Australia's leading contemporary museum, MONA. 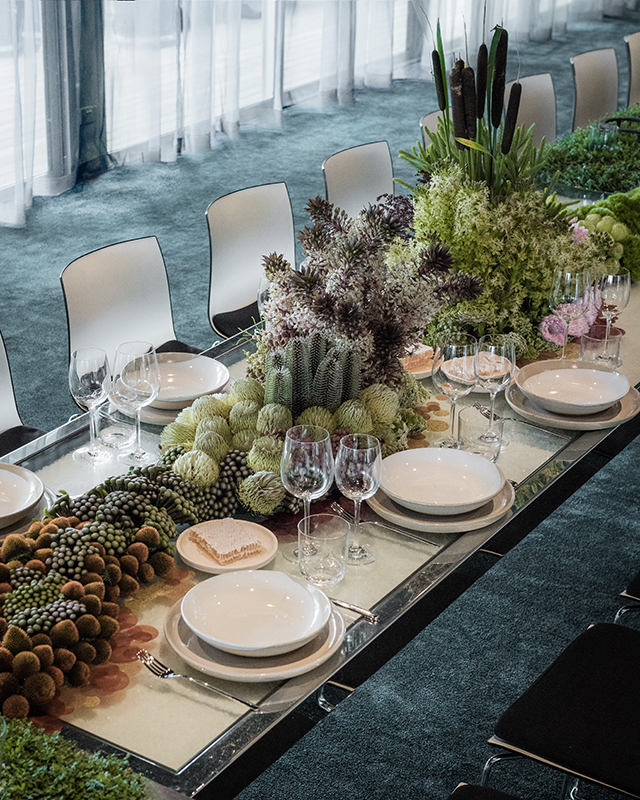 Spread across two days, the event consisted of a series of immersive experiences showcasing the best of David Jones fashion, beauty, food and home. 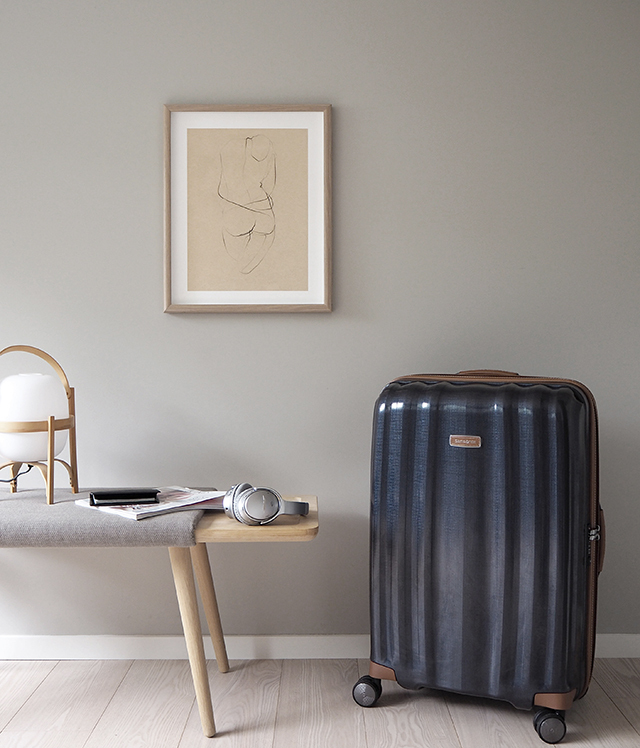 With the main focus on homeware, I've put together a summary of highlights from this unforgettable trip. 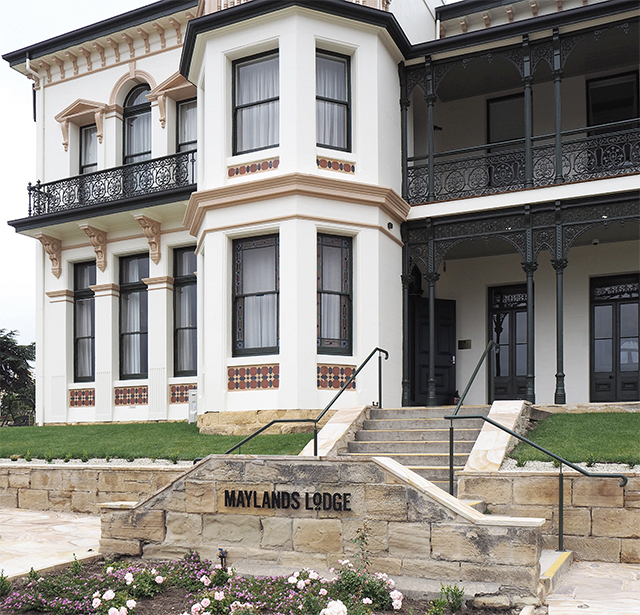 Arriving in Hobart Monday night I checked into the Maylands Lodge, which is set within one of Tasmania's finest heritage properties. 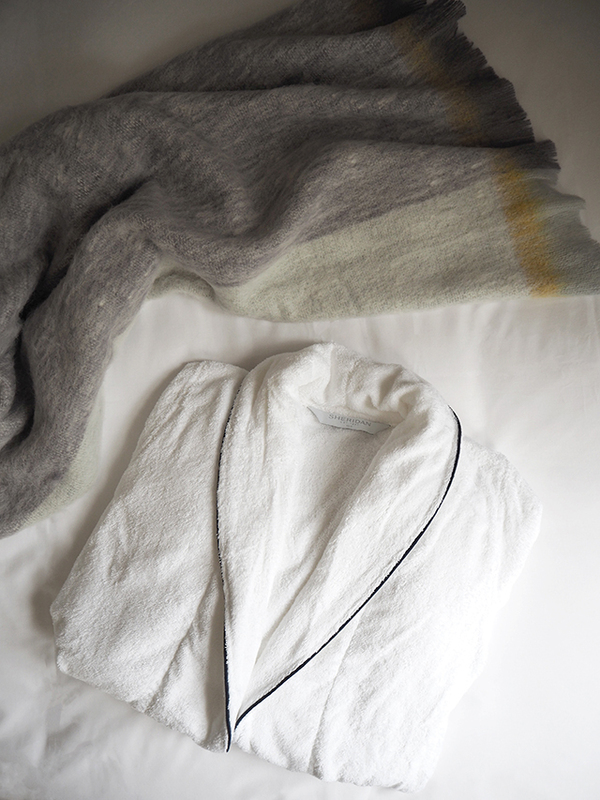 Settling in to my beautiful suite, I was delighted to discover a welcome pack that included a gorgeous Waverley Alpaca Throw and luxury Sheridan robe from David Jones. 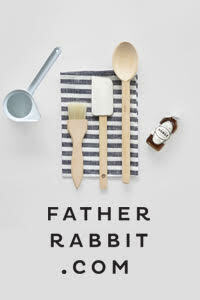 Known for offering superior products and services across national and international brands in fashion, beauty, food, technology, and homewares, the iconic Australian department store celebrated its 180th anniversary in 2018. David Jones is also the oldest continuously operating department store in the world still trading under its original name. 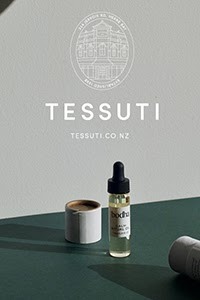 With 45 stores as well as an online store, including its first international store in Wellington New Zealand, I'm very excited about the Auckland store set to open later this year. 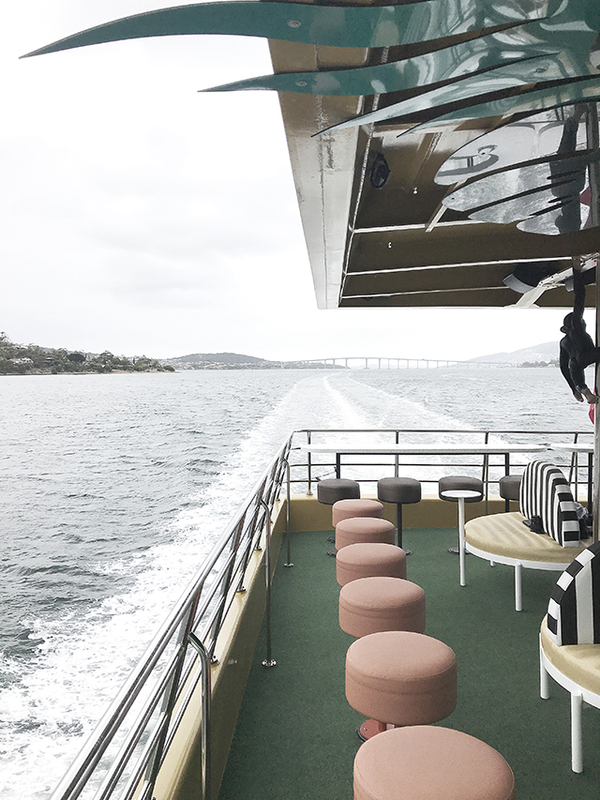 On Tuesday morning we set off on the ferry, which took us up the River Derwent, direct to the stairs of MONA. Greeted by contemporary performers, followed by a welcome speech by David Jones ambassador Adam Goodes, we were then led to through to the beautiful MONA eatery, The Source. 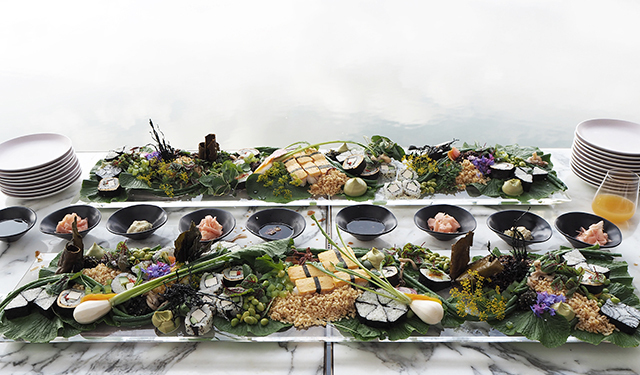 An awe-inspiring table setting that included elaborate foliage, shells, bones and 62 edible elements set the scene for The Art of Entertaining. 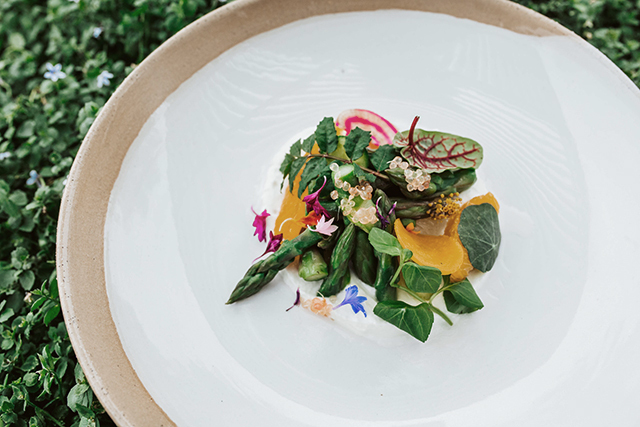 With a focus on food and home, the gourmet four-course lunch designed by chef Vince Trim showcased an incredible array of Tasmanian produce, local winemakers and artisan distillers. 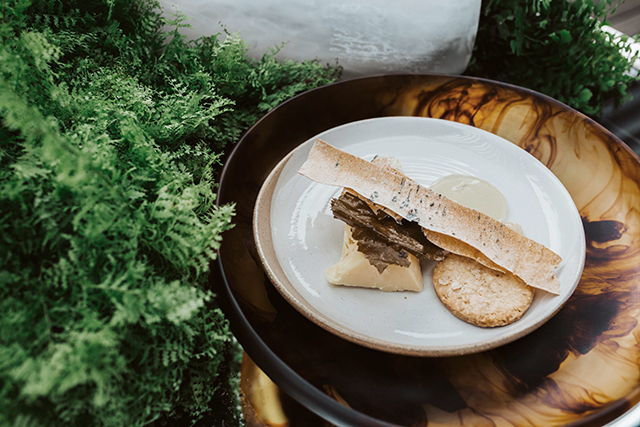 Inspired by nature, the extravagant meal included Confit Tasmanian salmon, summer vegetables and Slow cooked Robbins Island sirloin, stunning cheese platters with Tasmanian honey, and a decadent dessert featuring Lark whisky & hazelnut black pearl with textures of chocolate and late summer berries. And yes, it was all as heavenly as it sounds! 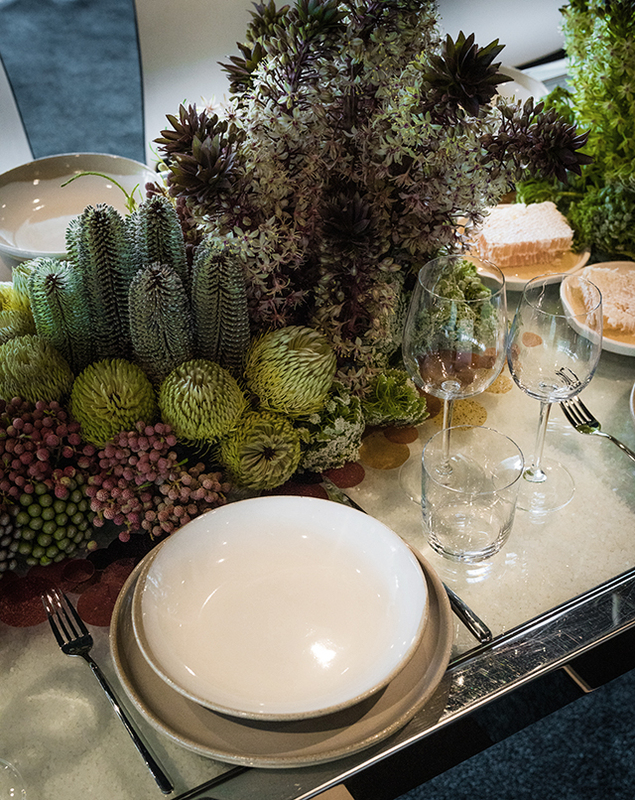 Exquisitely presented, the food was served on the new David Jones dinnerware collection, designed in collaboration with Robert Gordon. 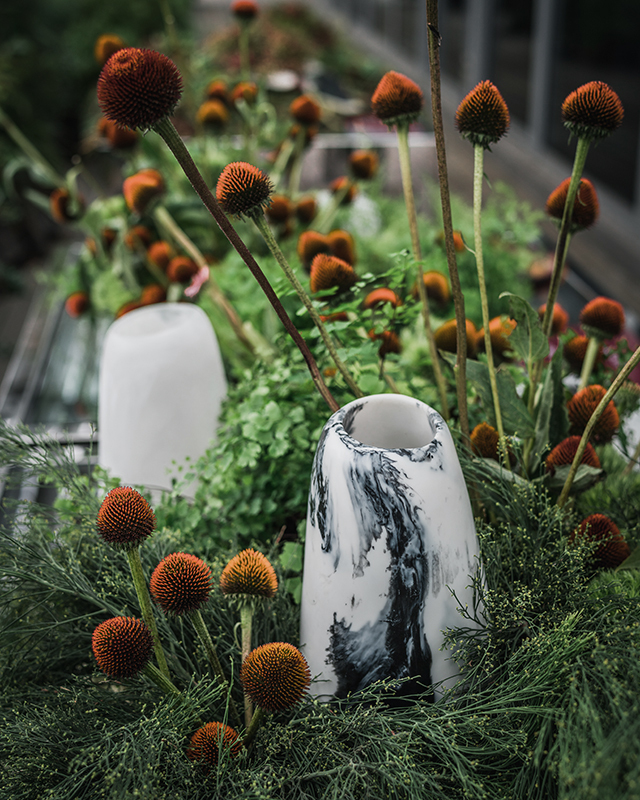 The hand-made pieces feature warm, neutral tones and an organic feel, perfectly suited to the nature-themed lunch. 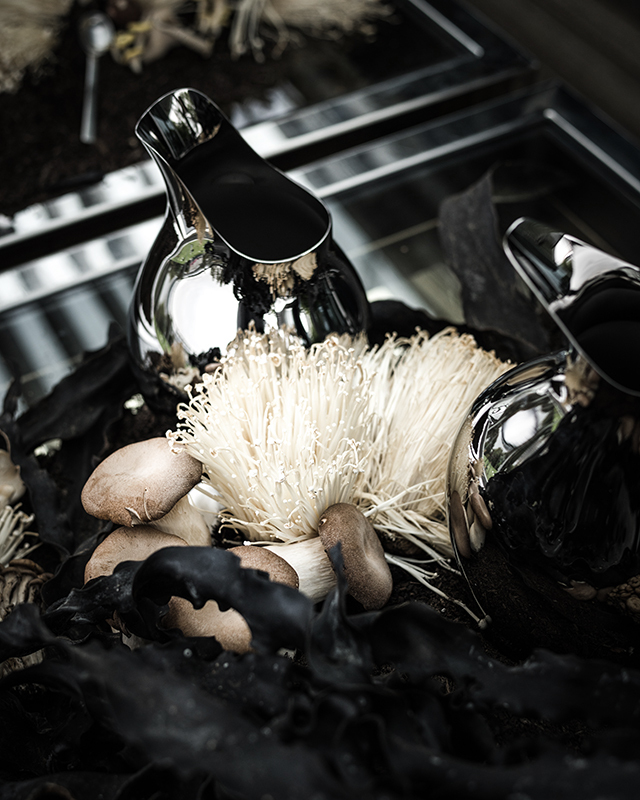 These were paired with elegant glassware from the Riedel and David Jones collection, along with cutlery from the David Jones collection. 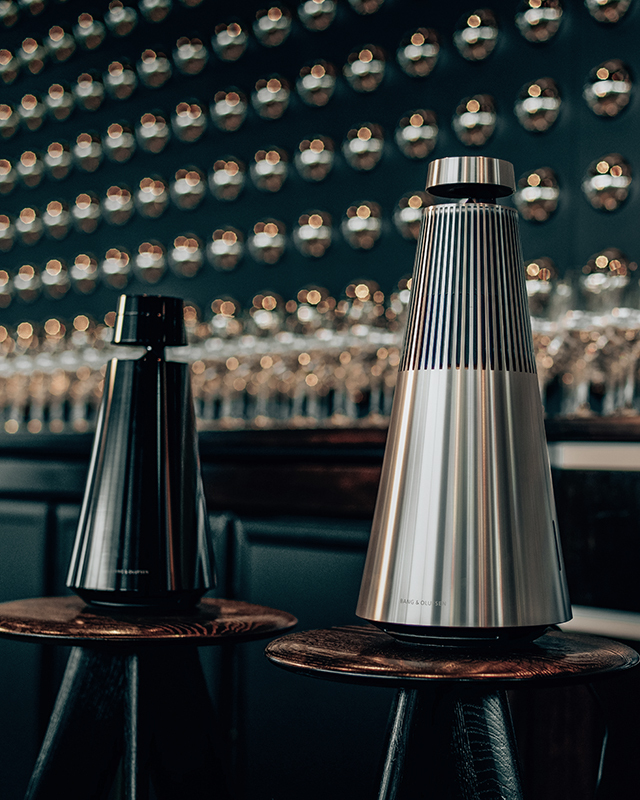 With new Wireless Speakers from Bang & Olufsen providing stellar sounds, the lunch also featured a an artistic display of homewares showcasing new collection pieces from Georg Jensen and Dinosaur Designs. 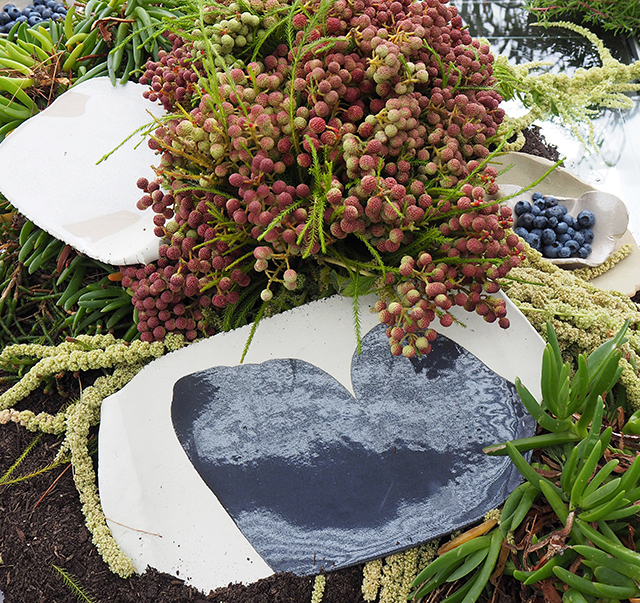 A huge fan of these brands, I loved how the textural elements of the designs were enhanced by the unique outdoor installation. 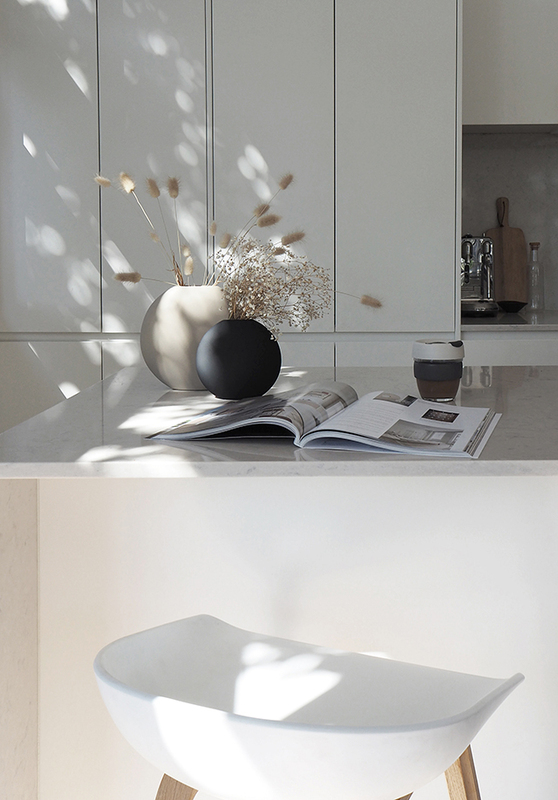 A third display featured Robert Gordon sculptural pieces custom-made especially for the launch. From start to finish, the lunch was an incredible sensory experience. Following the lunch and a guided-tour of the MONA gallery, we headed back to our hotels to get ready for the evening event, The Art of Fashion. 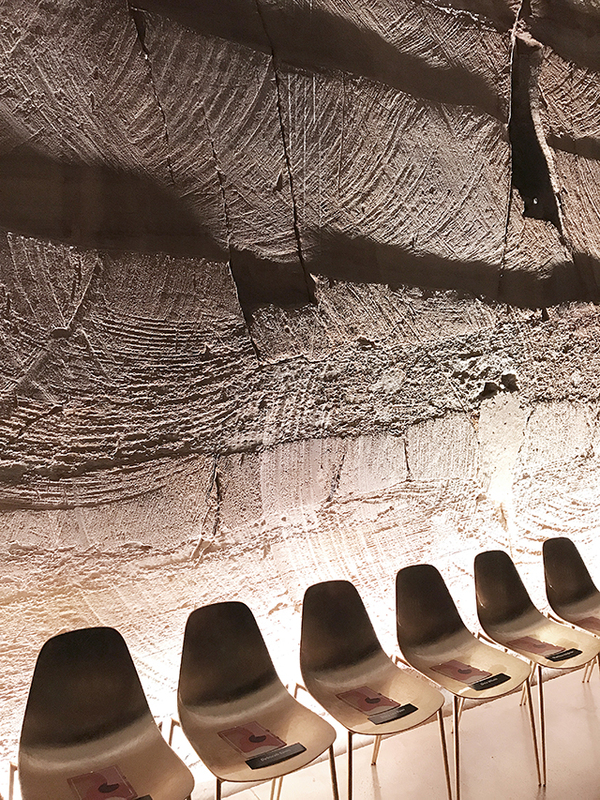 Located at MONA'S The Void, the textured sandstone walls in this part of the museum are truly spectacular. Providing the perfect backdrop for the dazzling runway showcasing the best of international and Australian new season designer collections, this was followed by a progressive cocktail experience. An incredible evening with unexpected twists (in true MONA Style) I've shared some memorable moments over on my Instagram Story Highlights. 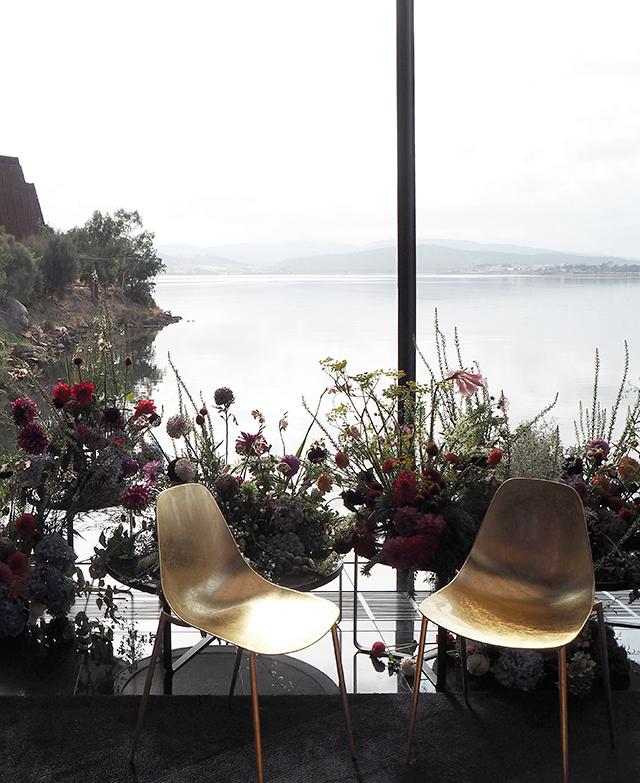 On the second day we headed back to MONA for the Art of Wellness. 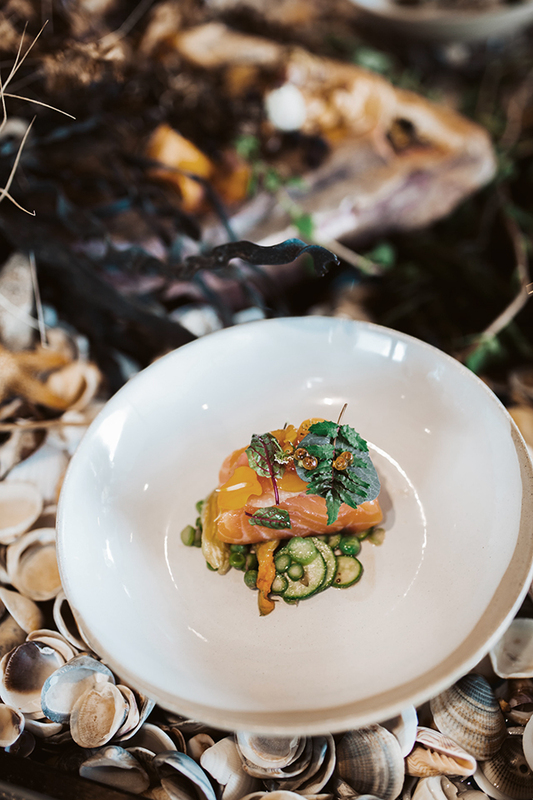 Soothing the mind, body and soul with a revitalising brunch, we had the pleasure of indulging in the beauty, fitness and lifestyle brands that David Jones has on offer. 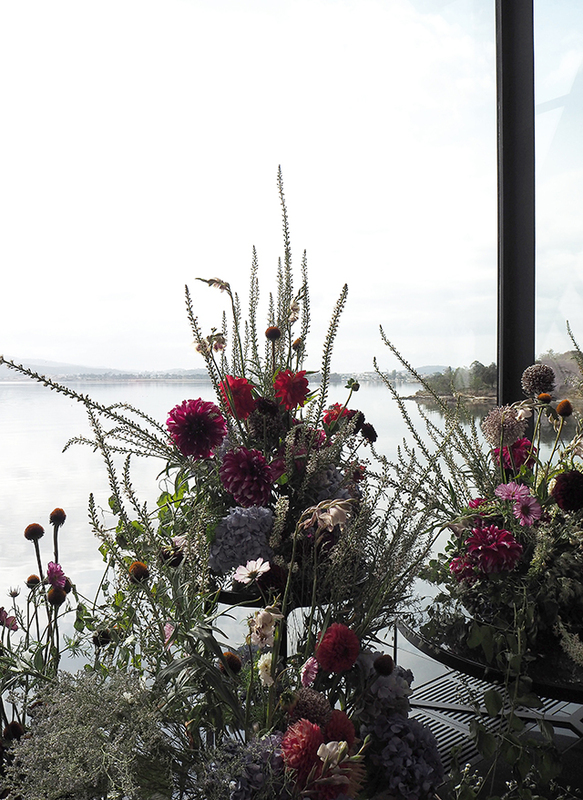 Located at Faro, within MONAS Pharos space, with floor to ceiling windows looking out on the Derwent, the dreamy views framed with incredible floral arrangements provided the perfect setting to reflect and re-energise. Treated to a delicious brunch that included an amazing Japanese food selection and Juice Station with fresh juice by Vitamix, I loved how The Art of Wellness had a sustainable focus. 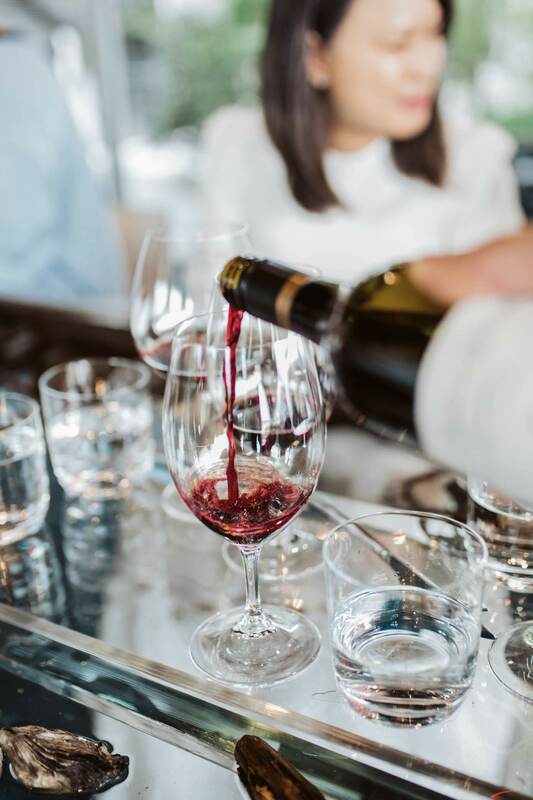 Very much in fitting with David Jones' commitment to reducing their impact on the environment by eliminating any paper or plastic, the brunch included reusable Avanti stainless steel Waterbottles and Keepcup coffee cups, both available to purchase from David Jones. Guest speaker at the brunch, Australian actor, director and wellness warrior Theresa Palmer, shared some fantastic tips on wellness which I've been putting in to practise since arriving home. We were also guided through a breathing session - the perfect way to re-centre and reflect on our time in Tasmania. I'll definitely be living off these memories for some time! To see more from the new season collections visit davidjones.com. Wow... How beautiful. I also didn't know that David Jones was as old as that! I've been meaning to go to Hobart (have a friend from Tasmania). I've heard so much about all there is to see there. Thanks for your great trip report.